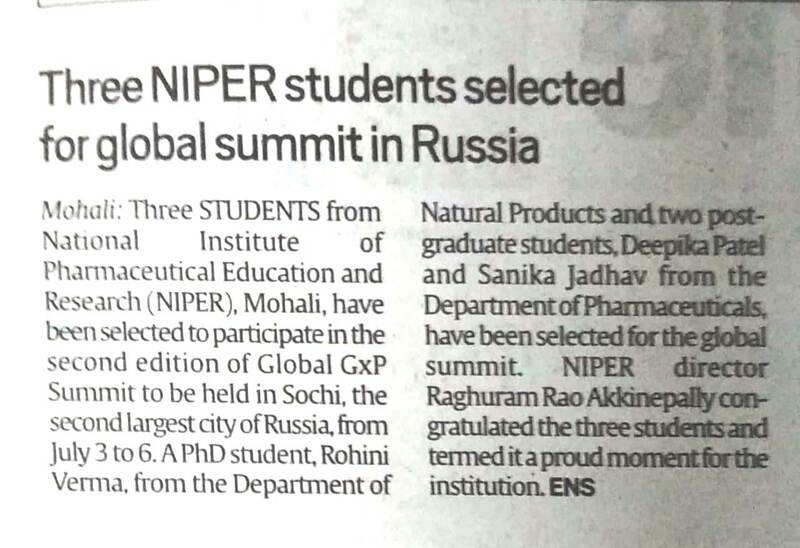 Press Release: "NIPER students to Russia"
NIPER SAS Nagar has been ranked 1st in the National Institutional Ranking Framework (NIRF) 2018 in the category Pharmacy conducted by MHRD, (GoI). 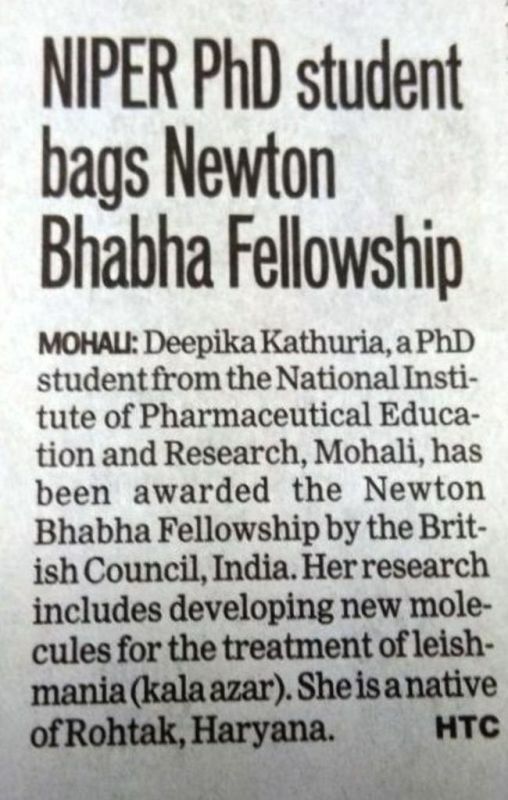 NIPER in News - Dr. Sanyog Jain, Associate Professor, Department of Pharmaceutics (NIPER) has been honored "Shiv Nath Rai Kohli Memorial Mid Career Award -2018"
Congratulations: Our students Mr. Shubham Majumdar (NP Department) and Mr. Yash (PE Department) has won Pharmaquiz, a National Quiz Competition sponsored by Bharat Serums and Vaccines Ltd. held at Nagpur on 13th February 2018. 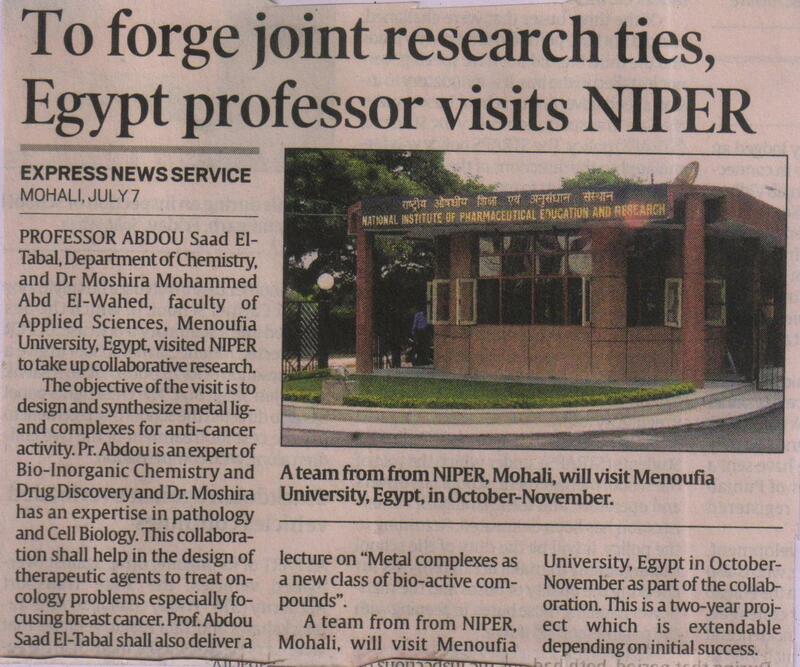 NIPER Pays Tribute to Prof. K.K. Bhutani, Ex-Officiating Director NIPER S.A.S. Nagar. 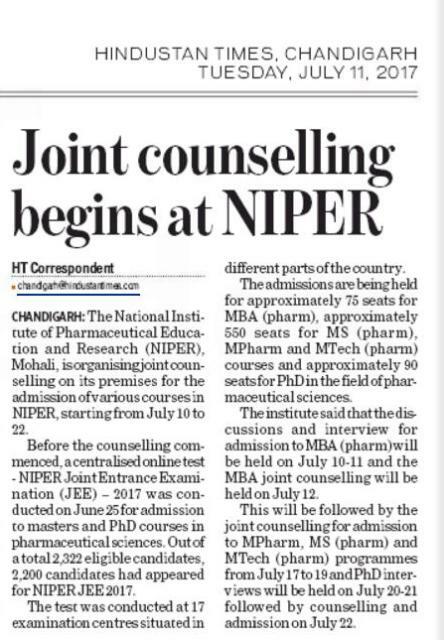 Post Press Release: SMPIC Seminar on "Maximizing Employee Potential in Pharma SMEs"
Press Clippings of Professor Raghuram Rao Akkinepally joins as Director, NIPER S.A.S. Nagar. Heartiest Congratulations to Professor Harkishan Singh Ji. It is a proud moment for the NIPER family that Professor Harkishan Singh has been awarded Padma Shri 2017. Two students viz. Venkateswara Rao and Mr Sabbir of NIPER S.A.S. 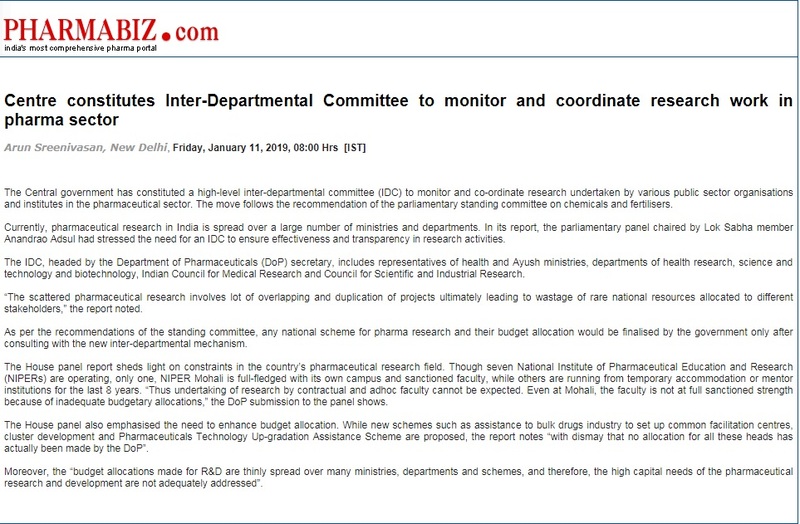 Nagar Khan have been awarded the OD Gulati Prize and PP Surya Kumari Prize, respectively at the 49th IPSCON 2016. 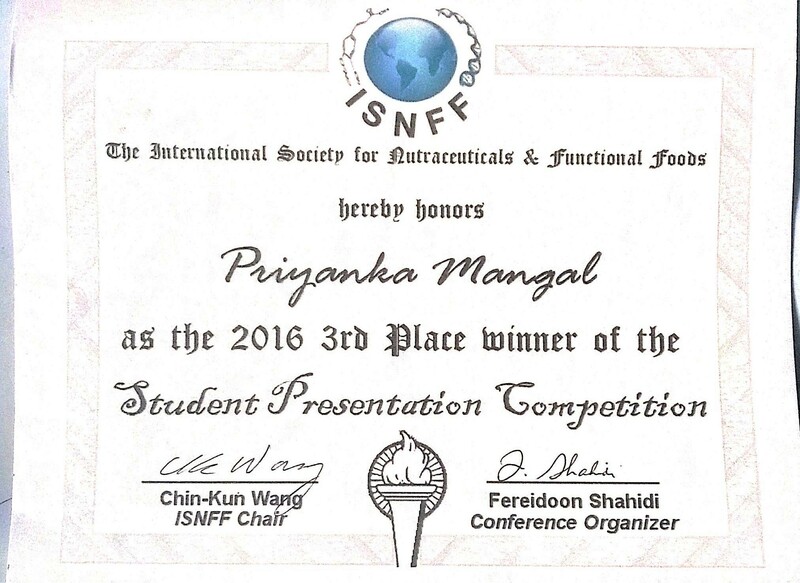 Priyanka Mangal, PhD Scholar in Department of Natural Products has got IIIrd Position Award for Poster Presentation at 2016 Annual Conference & Exhibition Functional Foods, Nutraceuticals, Natural Health Products and Dietary Supplements, October 9-13, 2016, Orlando, USA. Information: Duration to be uploaded/incorporated on archival site after the completion of process is 12 months.